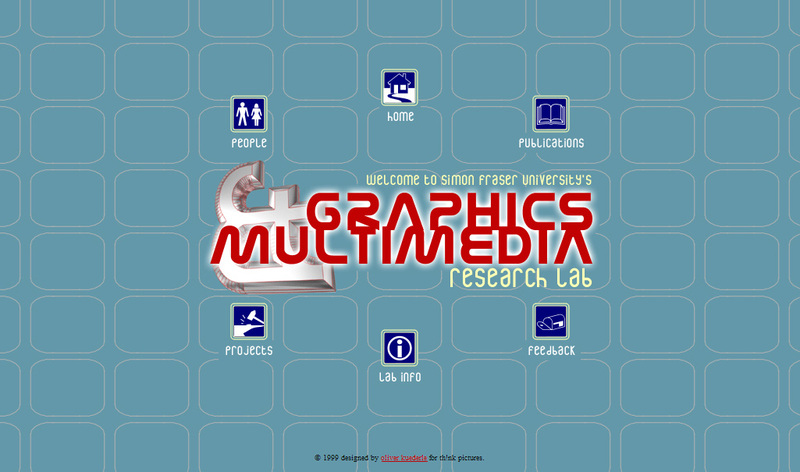 I’m not really a webdesigner although I’ve designed countless websites over the years. This was mostly out of necessity, curiosity, or as a favour to friends. But chances are, if you ask me to design your website, the answer will be “no, thanks”. Now, if you need a web service, i.e. an interactive website with functionality as opposed to a buch of static pages, that is a different matter (blogging or shopping systems excluded). Most of what I do today is develop software which happens to run on the web (or on your phone). 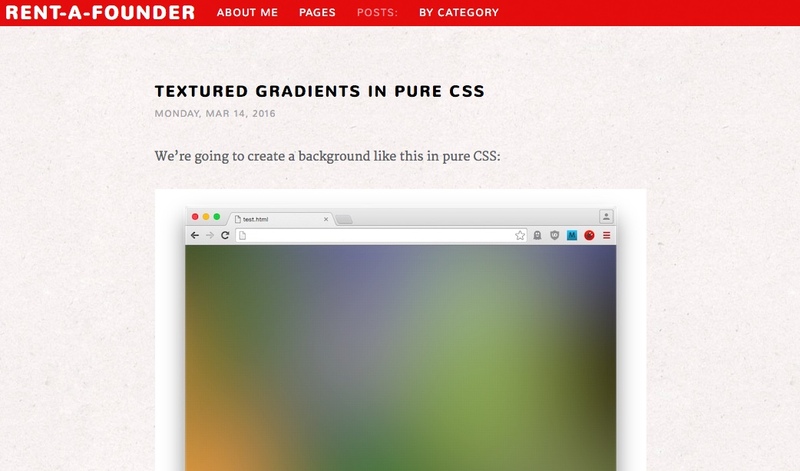 In that context, webdesign is a requirement and therefore I do a lot of front-end programming and webdesign. But at the core of these websites is the functionality, the usability, and making complex things simple for the end user. And that’s what I enjoy mostly. Click here for a brief history of this website. Most of my time goes into working on Stock Performer. It’s a very functional website. 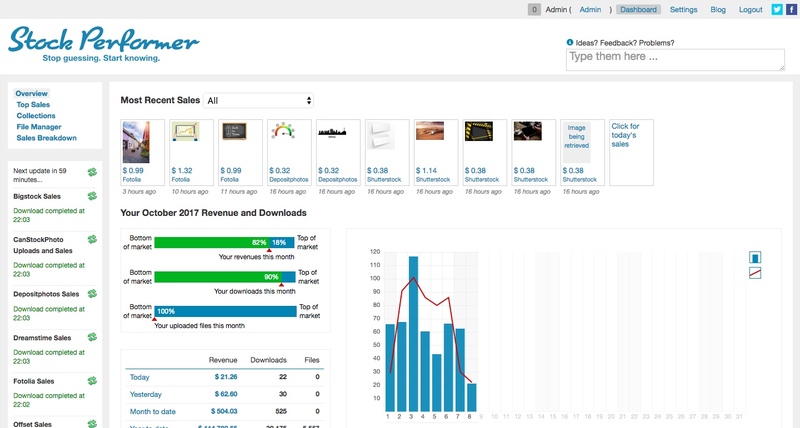 Its look matters but what’s more important is whether our customers can quickly find what they’re looking for and get all the information they need at a quick glance. This is not purely my own work. It’s a collaboration with my business partner Luis Alvarez. 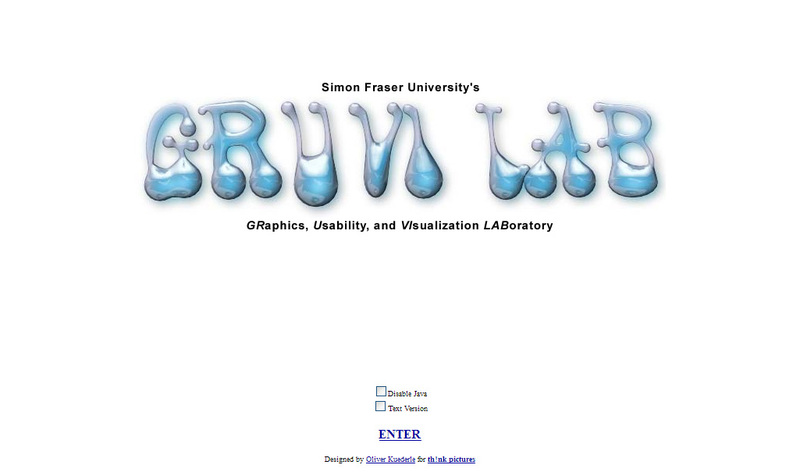 We are planning to redesign the site because visually, it has aged a bit. 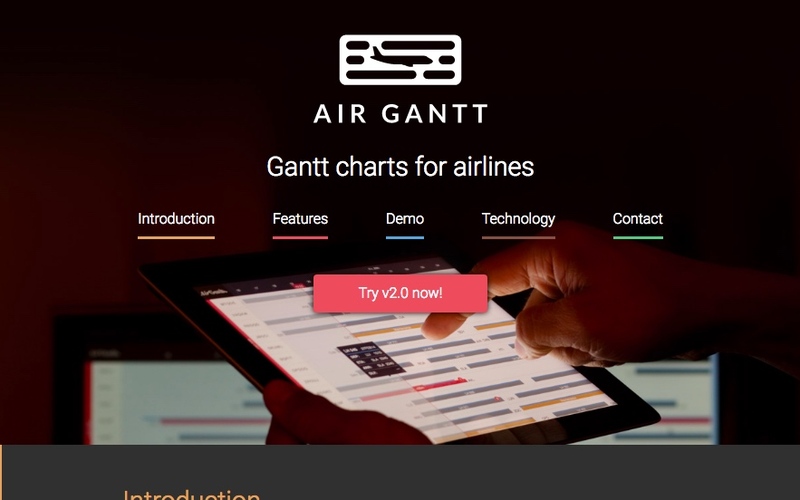 AirGantt is a single-page website with information about the AirGantt product. The idea is to convey the necessary information quickly while illustrating an important feature of the product (responsiveness) with a large background image. I’m keeping a personal blog at rentafounder.com with mostly technical content. It’s built using Hugo. 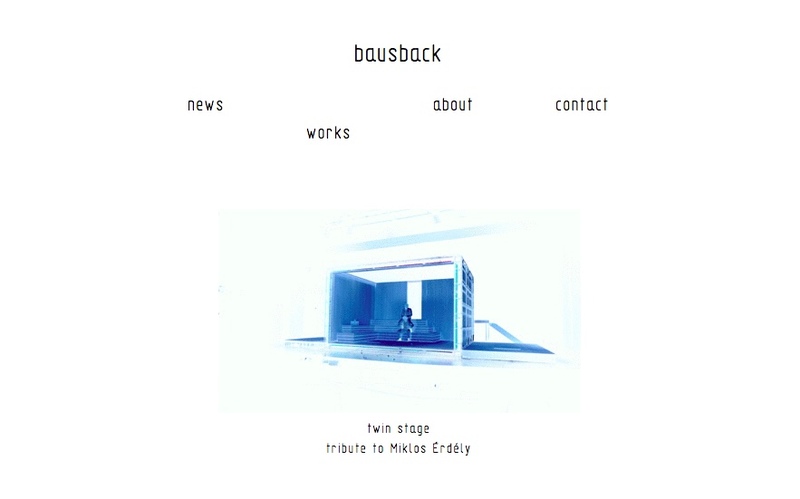 I designed this website for Marc Bausback, a friend and architect (although he does not like to be called that) who designs theater stages but also works on other artistic projects. The site looks very much the way he wanted it to look, very minimal, with a lot of whitespace and a small, thin technical font often used by architects for technical drawings. It is based on Wordpress. 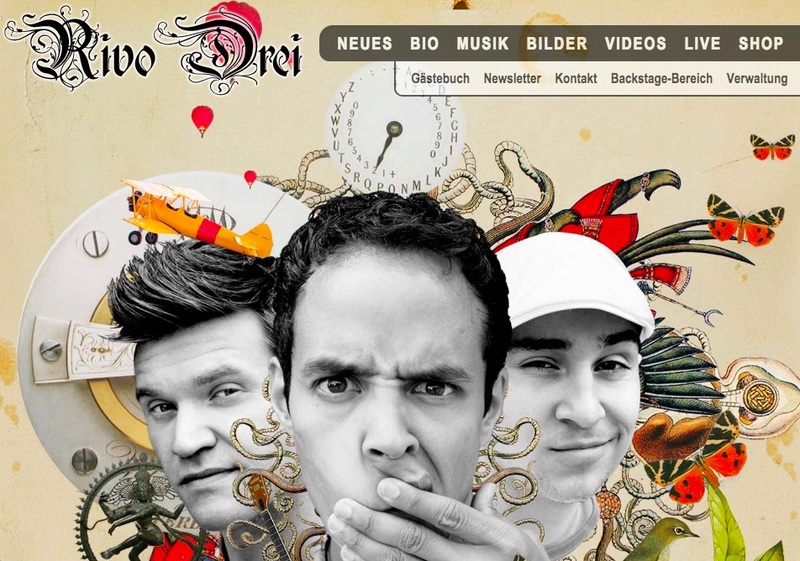 This band website mixes large imagery with information for fans, including an entire custom social platform where fans can connect, share pictures, and let others know which live concerts they went to. This was built before Facebook became popular. 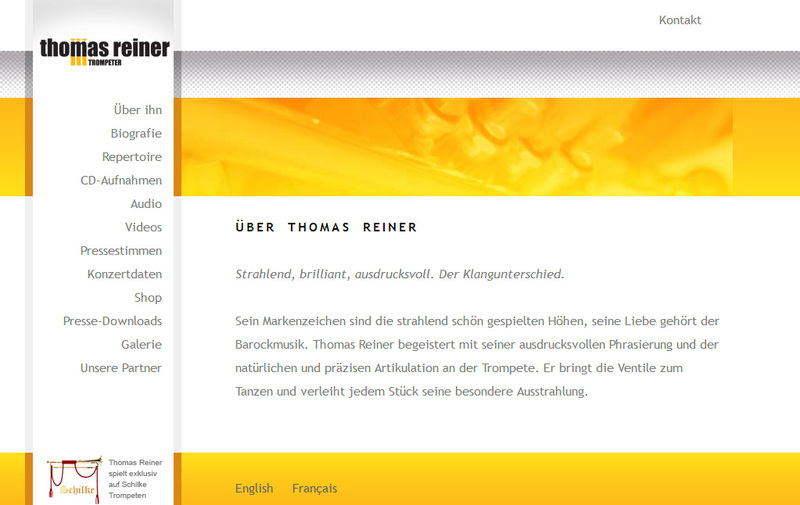 This is a website for trumpeter Thomas Reiner. What you see in this screenshot is already the third design incarnation of the page, and it is dated, too (it still uses Flash). The redesigns were also related to me changing the backend from a custom administration system to Wordpress to a custom solution again. I wanted the customer to be able to maintain the content themselves, to minimize my involvement. However, early versions of Wordpress were difficult to deal with (e.g. pasting from a Word document always caused problems). And some later requirements still needed my help, such as making the page multi-lingual. I was never quite happy with the solution. Somone else has since taken over the site so I’m ok with that. During my Master’s studies in Canada, I was part of a few different organisations. 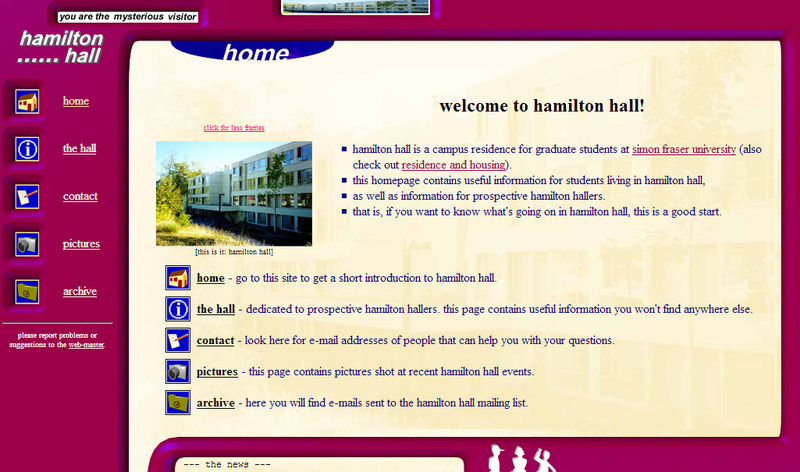 I wanted to practice my web design skills and people were happy that someone was able to create a website for them, so I built the following sites which were hosted on the university website. Some of these are quite ugly compared to today’s standards. The standard practice at the time was to come up with the layout in Photoshop and then break it into pieces. I used tabled-based layout and targeted mostly Internet Explorer and Netscape. And of course, all websites had to have visitor counters! 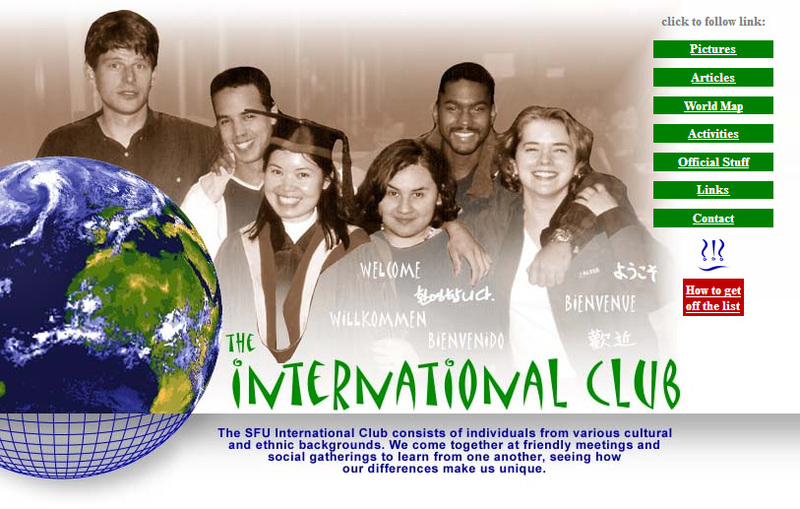 I left Simon Fraser University at the end of 2000.